Ashamed of her sloppy English and the inevitable effects it could have on the baby, Lucy hires a tutor, after telling Ricky: "Please promise me you won't speak to our child until he's nineteen or twenty." The teacher, Mr. Livermore, arrives and proceeds to teach the Ricardos and Mertzes lesson number one: "never use the words 'okay,' 'swell', 'lousy.' 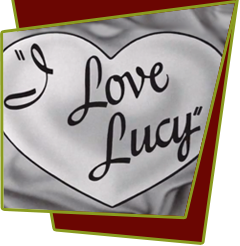 " The instruction period goes downhill thereafter, finally prompting Lucy to crack, "I would say 'okay'. That's a swell way to get off to a lousy start!" Ricky becomes concerned about the cost of the tutoring until it becomes evident Lucy made a deal with Livermore: In return for free diction lessons Ricky is to allow Livermore to perform his song, "Tippy Tippy Toe," at Ricardo's "nocturnal bistro". To get even with Lucy, Ricky enlists Livermore's aid, promising him an audition with all the record companies if he'll agree to speak English the way Ricky does. Livermore acquiesces; and Lucy, patently disgusted, gives up the idea of English lessons.